> "Well I've never seen an autonomous doll before so you would be the first person to ever make one! The way you talk about it also makes it seem like it's been a lifelong dream of yours, which is why I want to help!" > "That would work but once they learn which rabbit is which they'll win every time"
> "This way it's impossible for someone really smart to predict which one has the object, so the game is based on luck"
>"Yeah, but wouldn't knowing how to move and control one give you a feel for how a living being should feel so it could be copied easier in a doll?" > Alice sighs. "It's not about how they move, or how they work. To make a doll that moves on it's own, thinks on it's own, acts on it's own... you need to know far more than just how things move. Besides, I've seen enough living things to know how they work." > "The only one who can tell most of the rabbits apart is me." Tewi says proudly. "They're all nearly identical." > "Impossible to predict?" a voice says. "Even if you were to absolutely ensure there was no way for your movements to be tracked, there would still be a one-in-three chance, regardless of how smart you are." > In the doorway of the building is a tall woman, with long-braided white hair. She is wearing a red-and-blue dress, with star markings and lines connecting them. Upon her back is a bow and a single arrow. > The tall woman looks immediately at the stretcher, and has a rather serious face. > "Undonge, guide them to the medical room. I shall go there immediately and prepare for operations." she says, rushing back inside. > Another rabbit exits, this one looking very different to Tewi. She's much taller; has lavender hair, her ears point upwards, and she is dressed completely differently. > "We had best get you all inside." the rabbit says. "That way as soon as Master is prepared we can begin." >"Alright. Lead the way, then." >Make sure everyone is accounted for first. > You ensure everyone is accounted for; and note Mayina lurking around, attempting to be as hard to spot as he can. > You follow the rabbit indoors, and immediately can tell the building is far larger on the inside; a web of corridors and sliding doors. Yet the rabbit guides you without hesitation. > Eventually you reach a room and she stops; sticking her head in, and then out. > "Master is not yet ready. Although; I must say, I've fought Sakuya before. It must have been something pretty serious to have done that to her." the rabbit says. > "Well lets wait for your master then"
> "So Alice maybe you could start with simple things like making them walk in a straight line on their own, then give them the ability to avoid obstacles, then possibly have them automatically follow you and so on eventually to the point where they can learn actions on their own. I think that with enough small automatic actions, the interactions between those actions and the ability to create new actions they could eventually become fully autonomous"
> "I'll help you any way I can"
> (before talking to Alice) To "Miss Tall Lunar Rabbit smile :" Well,seeing how unexpected we all came and miss Sakuya is,you and your Master seem quite prepared, thanks to both miss Tall Lunar Rabbit ! And to Tewi as well! > Wavering smile :Ah...About miss Sakuya... She could have avoided some of it if she didn't step in to help in me in rescuing our group from a raid ... It was a new very strong foe outside of Genskoyo and Spellcard Rules,although she held back most of the time for her amusement. > Alice looks a little frustrated, and mutters something about prefering to be alone before she answers. "It's not about me making the dolls do that. I want to..."
> Alice hesitates, looking nervous, before pointing at Kogasa. "Like she's an umbrella that can act on her own. I want to create something like that." > Reisen gives Alice a suspicious look hearing that, but doesn't press. > "We were aware of the incident and were prepared in case any of the Rabbits or other youkai were attacked; or if Miss Kamishirasawa brought any injured humans." Undonge explains. > "It must have been a powerful enemy indeed to be able to defeat Sakuya while holding back..." Reisen says, looking somewhat worried "I'd hate to have to fight such a foe. I heard they're daemons from a place called Makai, and there's some history with this land and Makai. I'm not from Gensokyo so I'm afraid I'm no expert in it's history and relation with places aside from the Moon." > Eirin sticks her head out of the room. > "Bring her in. I'm likly going to need some extra hands. Puppeteer, you're likly quite deft, and I'll probobly need someone else..."
> Eirin looks at the two fairies and immediately shakes her head, then at Wriggle, then at Mystia who she seems happy with until she looks at her talons. Then she looks at Kogasa and notices she only has one hand free. She dosen't even seem to consider Mayina. > "You seem to be the most qualified." Eirin says to you. "Just be sure to dip your hands in the bowl before you touch anything else, and be very careful not to drop or break anything. I'll probobly just need you to pass some things over, time will be important and I won't have time to grab everything I need as I work." > Eirin re-enters the room, with the rabbit following. Alice follows afterwards, bringing Sakuya. >If we're good at communicating nonverbally, give Wriggle and Kogasa a look that says "make sure Mayina stays out of trouble." >Say helpful things to the doctor every single time she needs to do something. > You look at Mayina, then back to Wriggle and Mystia; who nod at you. > The room has shelves filled with all sorts of vials and equipment against two walls. Sakuya has been placed on some sort of large table. Next to you is a bowl filled with a water-like liquid that smells strange. Kind of like Sake, but definitely not at the same time. > Eirin is currently inspecting Sakuya's injuries. Reisen is grabbing a few vials, while Alice is standing by. > "Well I want to create things too, though not as ambitious as you're trying to make, which is why I want to help"
> "What is this stuff?" > Pay close attention to the procedure Eirin is doing and the try and learn what tools she's using, first aid skills are always useful! > "It's an alcohol disinfectant." the rabbit responds, without looking. "Don't drink it, that stuff would knock out even an Oni if they tried. It's not supposed to be drunk; it's supposed to kill illnesses." > Eirin cleans around Sakuya's wounds, and surprisingly; they seem rather small. She then looks at them. > "It almost seems like her blood vessels erupted outward..." Eirin says. 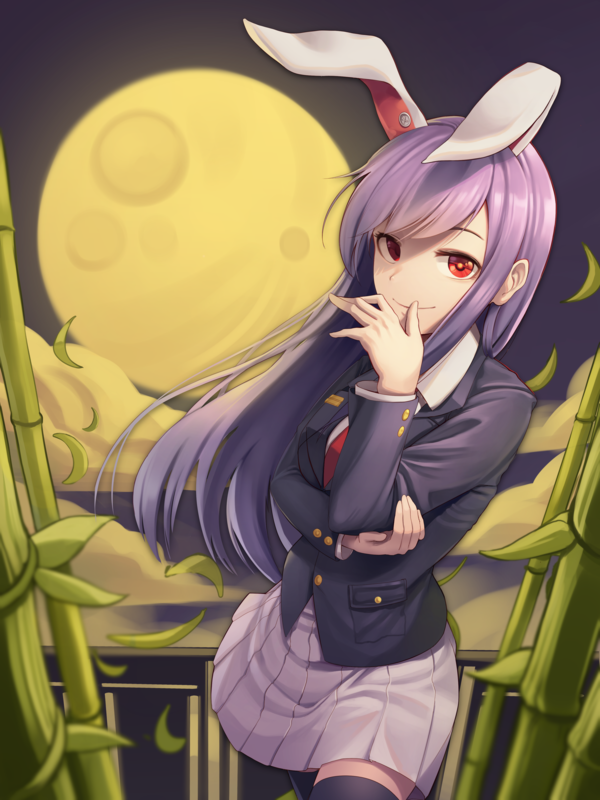 "There might even more more damage I can't see internally... but... Reisen, can you apply some pressure there, Puppeteer, can you use your dolls to apply pressure to the wounds other than this one, Youkai, can you get me the silver-colored thread, a vial of human blood and a vial of Lunarian blood..."
> Eirin puts a finger with a little of Sakuya's blood on her tongue for the briefest of moments. "The vial of Human Blood needs to say AB." > "Lunarian blood?" Undonge asks. > "She's a half-breed. Probobly some exiled Lunarian. Doubt she even really knows herself; but it explains why she acts so cold towards regular humans. Typical Lunarian superiority complex. Purely human blood won't suffice." > "I'm more surprised you have vials of that Master..."
> "What could have made her wounds burst outward? Lethal bullet hits? Laser burns?" > "Huh that's probably why her scent wasn't ... appetizing"
> "Being a Youkai I still have a taste for meat even though I don't practice hunting anymore"
> "I can also form barriers that can apply some amount of pressure if it's useful"
> "Huh that's probavly why she's not ... appetizing"
>Let's not imply that we actually tasted her when we didn't. // Alice is busy helping Eirin. She ignored you but primarily because she figures instructions are a bit more important. > You find the required items, although the smell of the Lunarian blood is rather repulsive to you. > "If it was something that effected her blood vessels, it was likely Blood Magic." Eirin responds. > "I can't imagine Lunarians taste very appealing." Eirin says as if it's a matter of fact. > Eirin mixes together the contents of the two vials; which seem to replenish themselves once she puts them down, and empties them into a bad with some sort of tube, ending in a point, and gently stabs that point into Sakuya's wrist. > She then puts on a pair of glasses, and grabs the silvery thread. You can't see what she is doing with it as she takes the end of it inside one of the wounds. > "No no, if you do that and she jerks in reaction to anything I'm doing that could end badly." Eirin says. "Can you open the cabinet on the back shelf and carefully bring me the tray inside? Be careful; it will be cold." //Whelp so much for editing in my actual commands. > You find the tray, in what seems to be a chilled drawer. > The tray is somewhat large and made of metal. Inside is... a flesh-colored goo. It's not quite solid, as it seems to be jiggleing a bit as you move, and the tray is cold to the touch. > You place it on the table next to Eirin. After a few seconds, she takes her hand away from Sakuya's wound, and starts filling it with the goo. > "Is that ... replacement meat?" > "Is she really that bad?" > "Ahh that's really useful"
> "I want to ask you about my eye sight when you have time"
// can't say why rn. Will explain when on break. //Do we really want to bring up our eyesight to eirin? We barely know her in character after all, plus we wanted to keep it a secret for now. > Eirin continues to work; seemingly not requireing anything else from you. She is repeating her process for each of Sakuya's wounds. //You missed Tom's actions, it seems. I only countermanded the second sentence of his first action. // Yeah I forgot to quote, I was more seeing if there was anything else that was wanted to ask/be done before I proceeded. > Eirin finishes filling the last of Sakuya's major wounds, and turns her attention to her damaged arm. > "I shall require two sections of bamboo and some cloth." Eirin says. "Actually; Undonge, can you get that? This might actually be a task best suited for our youkai helper, a bit of strength is probobly required here. Puppeteer, can you get two of your puppets ready, unarmed please. Their small frames can help secure the wood in place. It'll make this quicker and less painful for her."